This package is suitable for a small to medium sized business or a deluxe personal site. 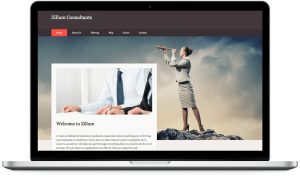 This professional website will have an elegant and professional appearance, and incorporate modern design techniques to create a striking presentation and showcase your business. The basic modules such as Contact Form are included, along with many new modules for extended functionality. Yes! I'm interested in the $980 Professional Package. I'd like more information.